What better way to learn about science than hands-on activities! We had great fun trying out these different investigations in class. We learned all about separating mixtures and solutions and had a lot of fun doing so. We planned the following investigations and had the children working on each investigation for 10mins. They loved carrying out these investigations and their favourite one was the milk and food dye. Click on it to see what it involves. Did you know that inks are mixtures of different dyes? 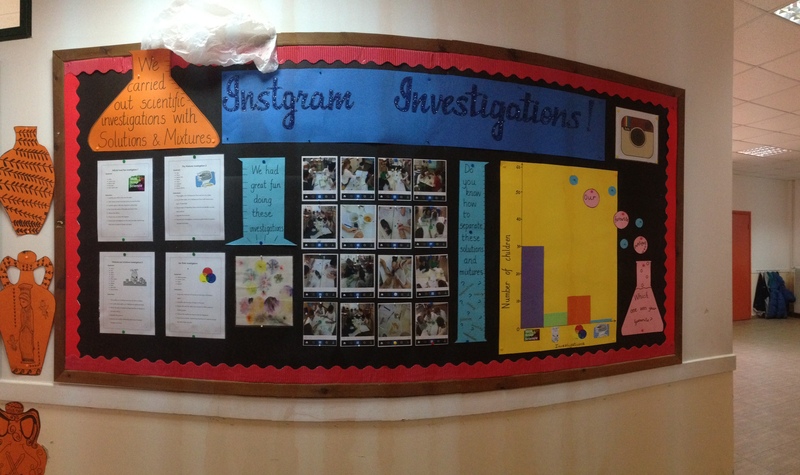 The display shows the 4 investigations, photos of the children which where taken while they were carrying the investigations. They were then modified on Word and an Instagram bar was added to the bottom so that they look as if they were Instagram photos. Instgram title was kept for copyright reasons. 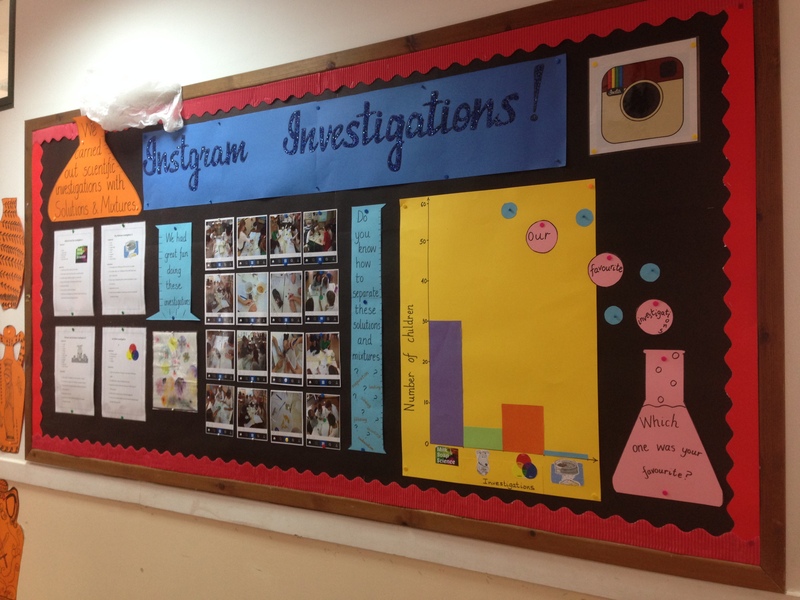 A bar chart of their favourite investigations, was added. Beaker shapes have information about what we did. Instagram (old) icon downloaded from the internet. A cross-curricular link with Literacy, could be to read “George’s Marvellous Medicine“. Click here to read a book review. 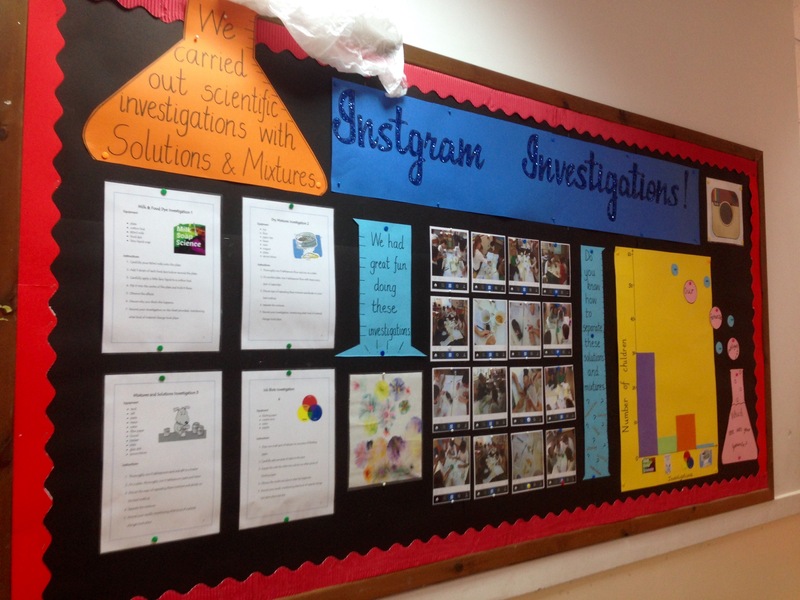 Other cross-curricular links with Mathematics are: Graphs, Data Handling and Measuring.